Definitely, a once-in-a-lifetime destination, Argentina's cities are a riot of vibrant colour which dance to a sultry tango beat, while its backyard incorporates Patagonia and the Andes Mountains. Argentina is very much it's own, very exciting, animal. Reflecting this diversity the best places to stay in Argentina range from rural fincas to boutique chic in the heart of the city. Most visitors land in Buenos Aires, certainly one of the best places to stay in Argentina if you love the varied liveliness of South American cities. But wine capital Mendoza, gorgeous Bariloche with its spectacular lakeside backdrop bursting with active holiday opportunities, and cultural capital, Córdoba are equally difficult to leave off your itinerary. And that's before you even consider Argentina's wide open spaces. Argentina's colourful cities are exciting places to be, but if you don't 'get outta town' in Argentina you'll be missing out on the real wonder of the country. The cities are just there to help you acclimatise to the awesomeness of the Perito Moreno Glacier, the soaring Andes, the ancient forests, the thunder of Iguazú Falls, the Patagonian steppes, ice fields and glacial lakes, and the gentler beauty of the Lake District. After you've been bowled over by Argentina's rich culture, spicy history, epic landscapes and tangoed yourself out, you might want to recover at Mar Del Plata, Argentina's best beach resort. Buenos Aires is both a cosmopolitan metropolis and, in places, a small, friendly town. A place where everything from wine to tango deserves celebrating in festival form. In the colourful heart of busy Buenos Aires, you'll see businessmen in suits dashing past fruit sellers and their stalls. Here the local butcher might be sandwiched between an internationally known boutique and an award-winning seafood restaurant. For those who enjoy poking around galleries and antique shops, Retiro is one of the best places to stay in Buenos Aires. This is also where you'll find the Palacio Paz, and several other interesting old palaces. If Retiro appeals, stay at the Hotel Pulitzer. 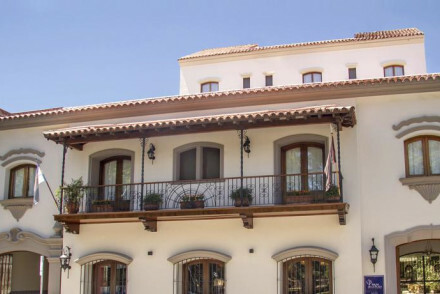 If you fancy the traditional street-life, cafe-life and nightlife of Palmero Viejo, stay at the Vain Boutique Hotel, an Avant-garde design hotel. Puerto Madero is the gentrified redbrick dockyards turned vibrant hub, and if you're staying here then you should be staying at the Philippe Starck designed Faena Hotel + Universe: luxurious, yet totally original. There's more to the Andes than spectacular mountain passes and 'bucket-list' views. Eighty per cent of Argentina's world-class wine is produced in the bone dry foothills of the Andes, where the sunny days and cool nights suit chefs as well as grapes, apparently. It also features a good number of the best places to stay in Argentina! Bariloche is the hub of Argentina's Lake District, surrounded by peaks reaching over 2,000metres high and running along the shores of one of its lagos. The dramatic scenery comes with plenty of snowfall, so in winter this hub turns alpine - which might also be why there are so many chocolate shops here? 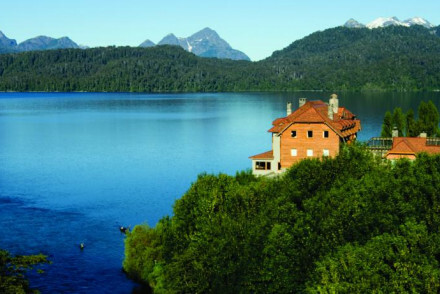 In summer Bariloche still attracts active types with its promise of sky-scraping hiking and climbing opportunities. Córdoba's four impressive galleries, multiple niche museums and beautiful religious buildings go some way to justifying Córdoba's title as the Cultural Capital of the Americas. Its a great place for visitors because it's small enough to explore on foot, and most roads run off Córdoba's lively and lovely colonial central plaza or square. If you're interested in exploring South America's fascinating history of theatre - beyond the infectious music and dance, then Córdoba is a great place to see some live action. Go for a hike around Los Gigantes, a two-hour trip out of Cordoba. The beautiful mountains have many stunning rivers and lakes to explore - they're well worth a visit. Hire a bike and head down Mendoza's Caminos del Vino, stopping off for a tasting session at the numerous wineries along the route. If you're down in Misiones near the border to Brazil then be sure to see the Iguazu Falls - absolutely breathtaking! The Salinas Grandes Salt Flats are just a short distance away from the aptly-named city of Salta. If you're in Buenos Aires then take in a show at the Teatro Colon, which is known for its splendid architecture and wonderful productions. An unforgettable experience! 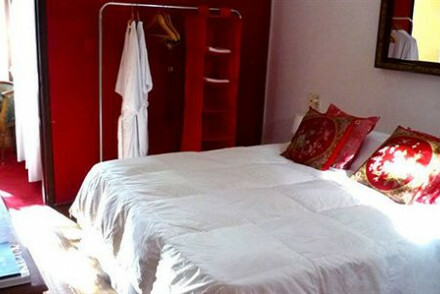 With only 4 bedrooms, Club Tapiz is one of the best places to stay in Mendoza if you're looking for local insights. The small size and the owner's own foodie tastes mean that there's plenty of local gourmet delicacies being served. Alongside wonderful wines from the 22 acres of vineyard surrounding the villa. If you prefer to stay somewhere larger, try the Algodon Wine Estate. As well as being on a wine estate, this resort also has a world-class golf course and 10 tennis courts. And locally there's excellent fishing, rafting, and biking. 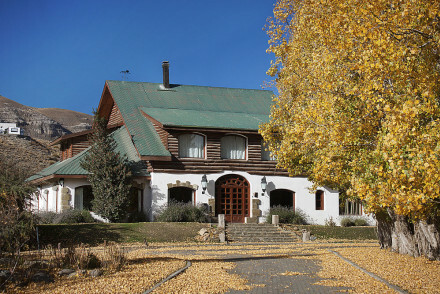 So it's also one of the best places to stay in Mendoza for those who like to exercise off their foodie extravaganzas! The rural Posada Verde Oliva offers smart accommodation in muted tones with fireplaces, exposed wooden beams and French doors leading outside. Tuck into delicious home-cooked meals and wines which are produced on the property itself. Finca Adalgisa is a lowkey B&B and winery which is ideal for those wanting a rural retreat. 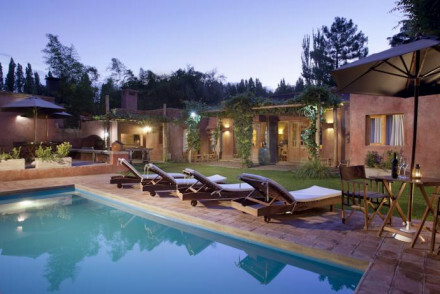 The rooms are traditionally Argentine in style, whilst there's also a pool for guests to enjoy. The Vines Resort & Spa is a divine stay. Set in the midst of Mendoza's rural surrounds, their contemporary rooms are smartly decorated and feature terraces which enjoy stunning views. Plus, the food is to die for! Going one further the Cavas Wine Lodge is one of the best places to stay in Mendoza for weddings. A boutique vineyard, their 14-room lodge is an excellent size for small weddings. Their terrace restaurant overlooks the vines and snowcapped mountains, their spa is luxurious and the vibe is peaceful and comfortable. The luxurious Posada Borravino boasts a tranquil setting and rustic-chic rooms. Lounge by the courtyard pool by day before enjoying a splendid meal accompanied by regional wines. With only 8 rooms, it's also an intimate spot. The Park Hyatt Mendoza is a stylish option for a city stay. 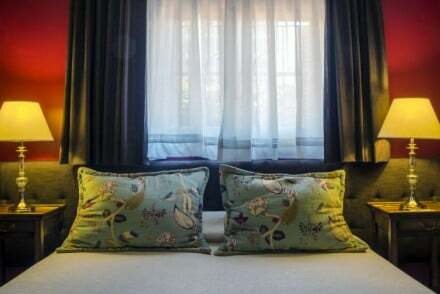 With spa, casino and all the mod cons you can imagine, this is also one of the best places to stay in Mendoza for business or conference travellers. 5-room B&B Plaza Italia features individually-styled, tasteful rooms decorated in rich hues. 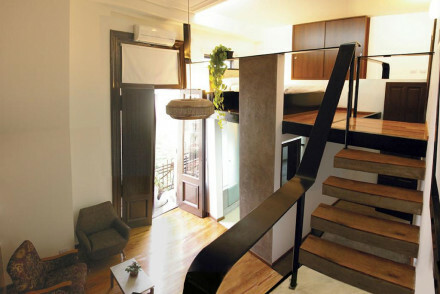 Located bang smack in the centre of Mendoza, it's ideal for those wanting to see all that the city has to offer. Sacha Mistol Art Hotel surrounds a central courtyard and the diversely decorated walls are an artist’s dream! Nestled within the city centre, the hotel also has a great little plunge pool to cool off in. Azur Real Hotel is a converted industrial building that enjoys fantastic views over the picturesque Jesuit block. Conveniently located in the city centre, the hotel boasts contemporary and comfortable rooms and a great rooftop pool. Estancia El Colibri is a luxury lodge to the north of the city, offering a peaceful oasis, but also a myriad of activities from horse-riding to birdwatching and trekking. Traditional elegance is the name of the game here. The weather's at its nicest during the summer - from December to March - when temperatures can soar to 30-35°C. Most major cities have their own airports: Buenos Aires, Mendoza, Córdoba, Bariloche. If you fancy exploring independently then consider hiring a car from Rentalcars. Browse through our list of all the best places to stay in Argentina. Search more specifically through our list of the best places to stay in Buenos Aires, Bariloche, Córdoba, and Mendoza. An elegant B&B right in the heart of the city. Individually styled rooms feature antique furniture and rich colouring. Grown-up lounges are the ideal spot to unwind with a regional glass of wine and a pretty courtyard provides a chance to soak up some rays. The perfect base for city exploration. 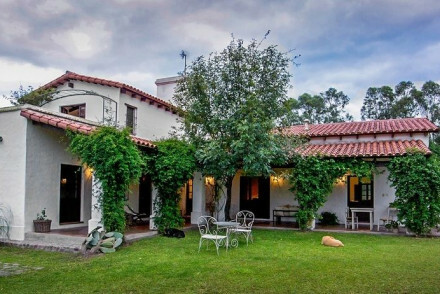 Local exploring - Well located with easy access to the cities main attractions- just five minutes from Plaza Independencia. A small luxury hotel set in lovely tranquil surrounds. Interiors mix traditional design with contemporary style. Rooms feature soft hues, exposed beams and light wooden furniture. A courtyard pool is the perfect spot to unwind. Sample regional wines and dine on traditional dishes. Total relaxation - A little haven ideal for escaping the hustle and bustle of city life. Relax by the pool, sample local wines and take long walks. Sights nearby - Visit the Ruinas de San Francisco, remains of the ancient city of Mendoza. A stunning rural property framed by a picturesque pine forests. Quaint rooms are light and airy with cream hues and floral motifs. Sample hearty regional dishes in the atmospheric restaurant and drink local wines in the bar. A charming base from which to explore the region. Active Holiday - Set in the Patagonian steppe, the perfect terrain for outdoor pursuits. Sights nearby - Marvel at the outstanding terrain of the glaciers of Parque Nacional Los Glaciares. 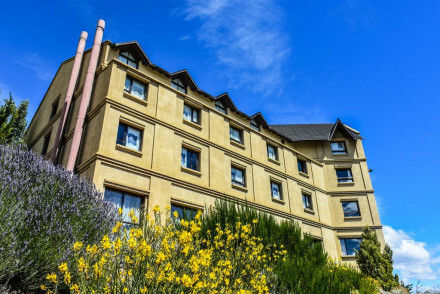 An elegant hotel overlooking the turquoise, glacial waters of Lake Argentino. The interiors echo the raw natural beauty found beyond the numerous windows- think fur lined chairs, hardwood floors and antler chandeliers. Feast on Patagonian dishes, heavy on meats and rich red wines. A sumptuous treat. 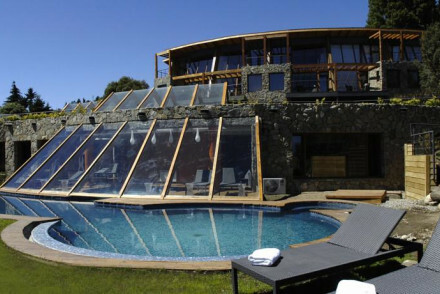 A luxury property boasting a spectacular location ensconced by both lake and mountain in jaw dropping Patagonia. Expansive rooms feature bay windows opening onto large windows, parquet flooring and beamed ceilings. 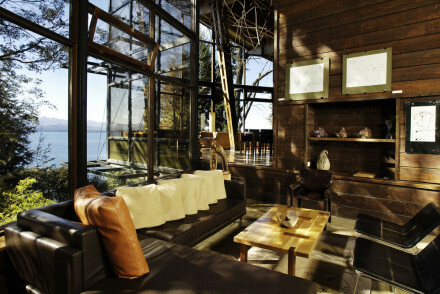 An atmospheric fire lit lounge has a glass roof to enjoy the views. A rural haven. Spa breaks - An expansive spa with plenty of treatments on offer including exclusive programmes to ensure a truly rejuvinating stay. Back to Nature - An outstanding location with Lake Nahuel Huapi infront and the Andes mountains behind. 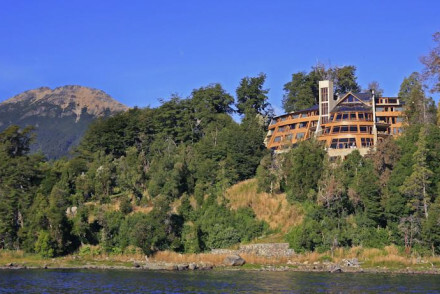 An impressive luxury hotel, with sweeping lake views and a wonderfully remote location. Contemporary rooms feature natural hues, semi-pine clad walls and glass doors leading onto large terraces. A spectacularly good spa will ease any aches and pains. A spoiling rural escape. Spa breaks - A stunning herbal hammam and spa boasts a glass roof so you can enjoy the surrounds whilst unwinding. Active Holiday - There are numerous adventure activities by land and sea, in the surrounding area. Fishing - Rainbow trout fly fishing is world-renowned in the Limay River.